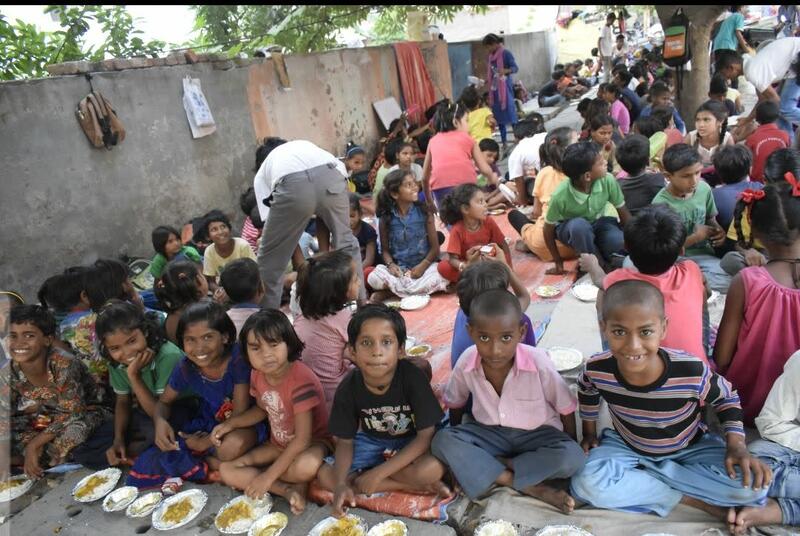 Help us ending 100 Child Labours and feeding these children of slums. I am a Bank Manager and associated with social work. 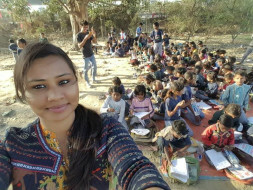 I like to spend time with these poor children whom we (I and my friends) teach daily. These children are very talented and intelligent in studies. 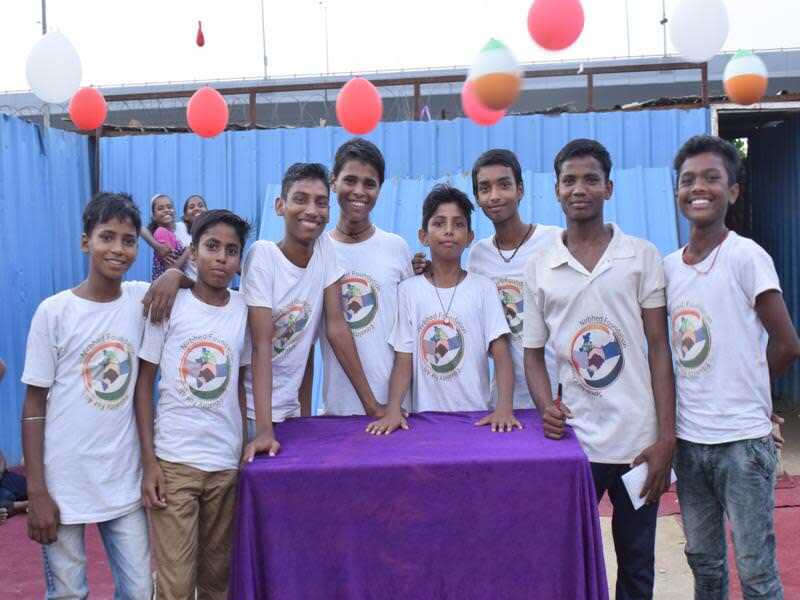 However, due to their weak family conditions they are not going to school and they work along with their parents and apart from earning they also do home making. This full time tight work schedule repel them from studying. 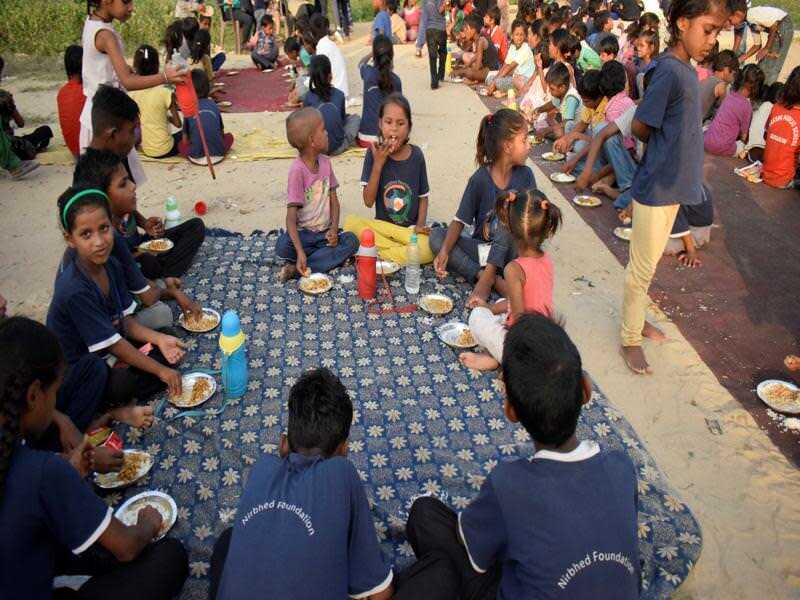 For this problem we have initiated a a campaign where we have for now, selected 100 bright students whom we provide day meal so that they do not skip classes(as their parents go to work and they have to work at home and take care of their siblings etc). Their parents also feel less burdened about their child. 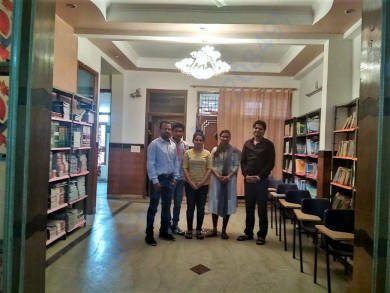 As we have money constraints(because we also pay for their studies, books, stationery etc), we collect 2000/- from one of the members of our group. We provide them different combination day to day basis which includes either a sabzi- roti/chapati/parantha/poori or Dal-Rice. After trying this meal system our students are increasing every day. They come to study in the greed for good food. 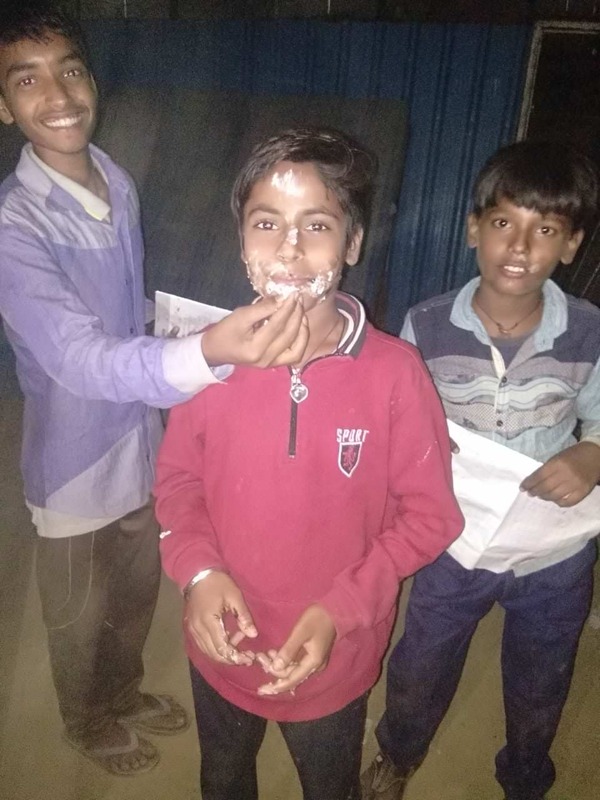 This also motivates them to study because every week ends we organize quizzes, tests etc and if class performs well then on Saturday they get a good treat followed by the gifts. and Sunday is their sports day/extra curricular days. 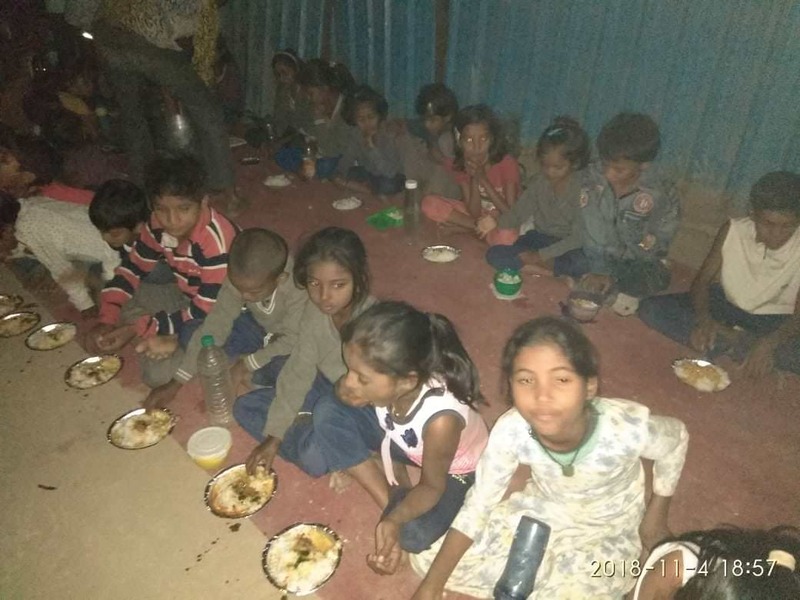 Therefore, we request you all to contribute for atleast their one day meal(i.e Rs 2000/-) or if any body wishes to provide raw food/readymade or if anybody wishes to prepare food at their home and donate, can do that. We will be grateful to you. 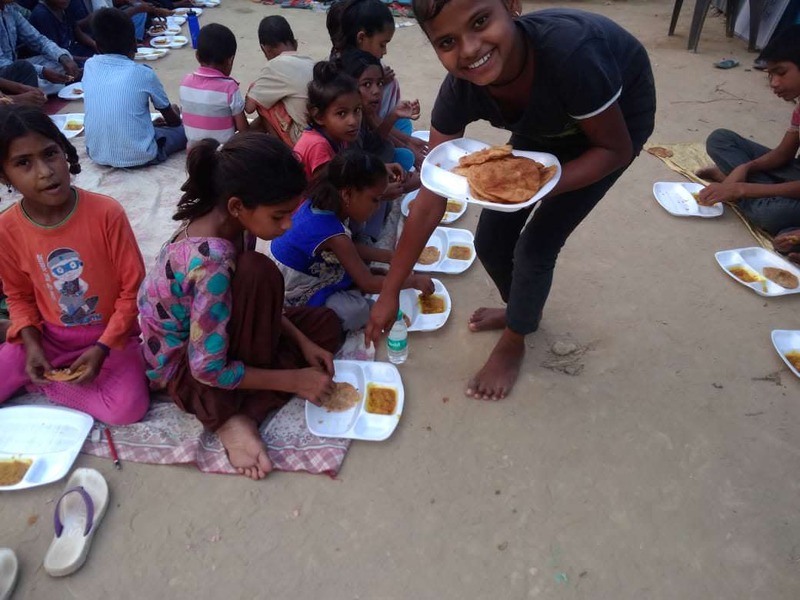 If you are residing in Ghaziabad and have excess food then please contact 9599044255. 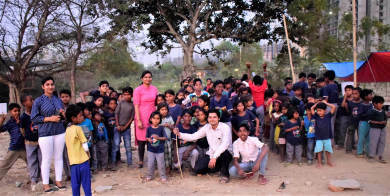 Any kind of contribution- be it Financial or Raw food or Readymade food will be highly appreciated. If you all will support we will provide more nutritional food items. I wish you all a very happy Diwali. We are doing well these days. Children are becoming healthy and happy. Our kitchen is working fine and we have started to serve min one day meal cooked our team members. 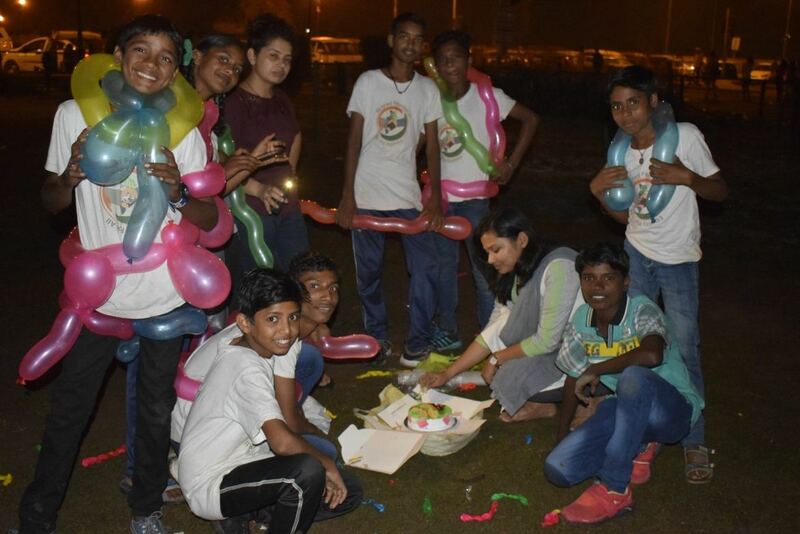 Its really fun, we enjoy doing it and children too. We feel like a joint family. This is your love and support that keeps them growing. Keep helping them. 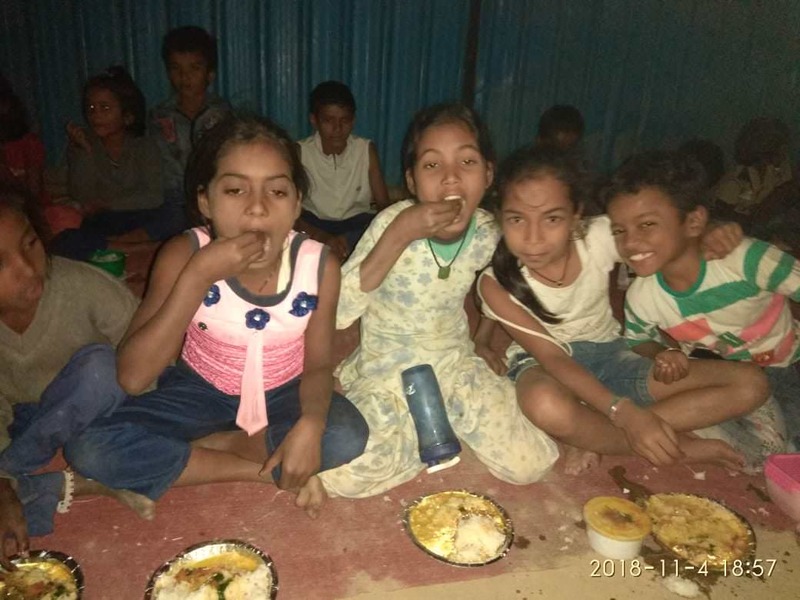 This diwali I wish to give them a special meal with 4 varieties (paneer, chole, chawal, puri, kheer or sweet item) special sweets box and small gifts (woolens). Please keep supporting me as always. Also, I am trying many ways to support them and their families. I want to provide them direct benefit. 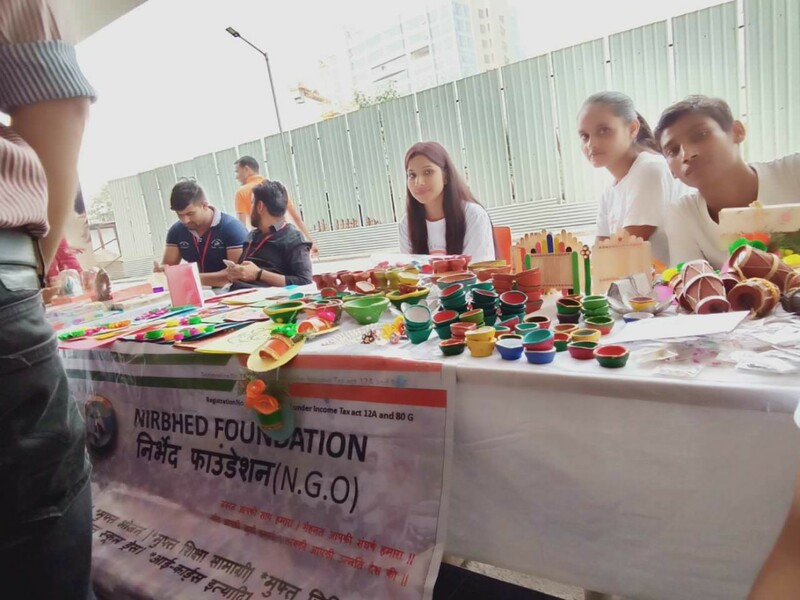 This diwali is going to be happiest for few of our children as they have made many decorative items and also marketed and sold them by putting stalls in corporates and society arranged by Nirbhed Foundation. 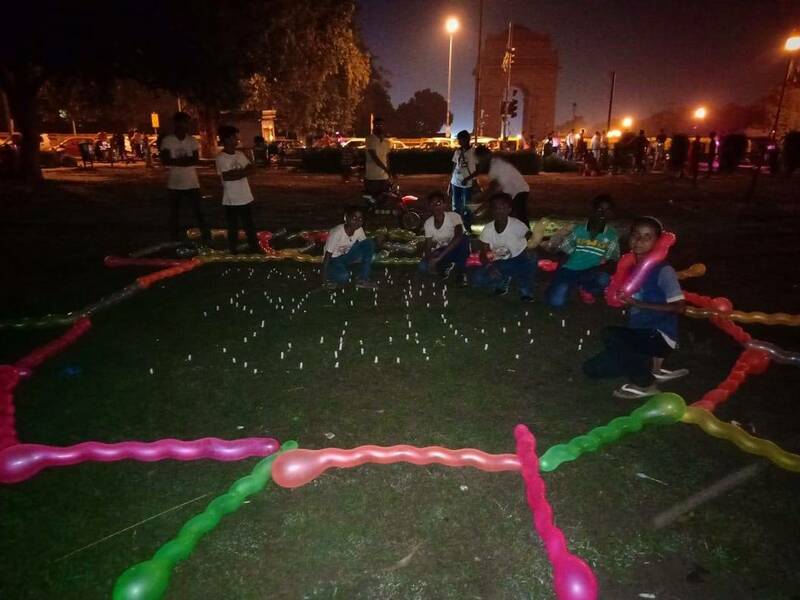 I am glad to tell you that they have earned well this diwali. 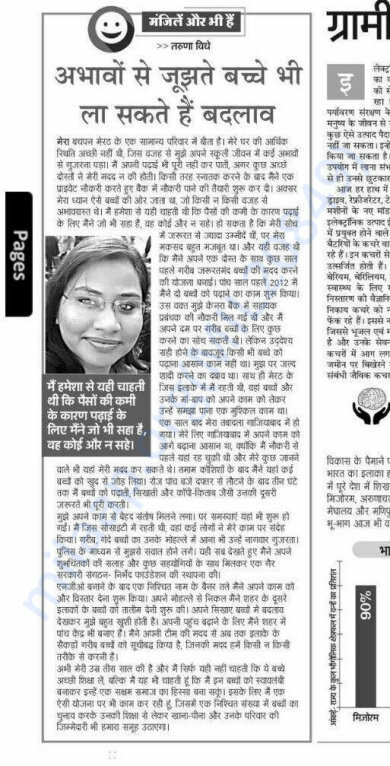 I am sharing few " mastibhari " pics. 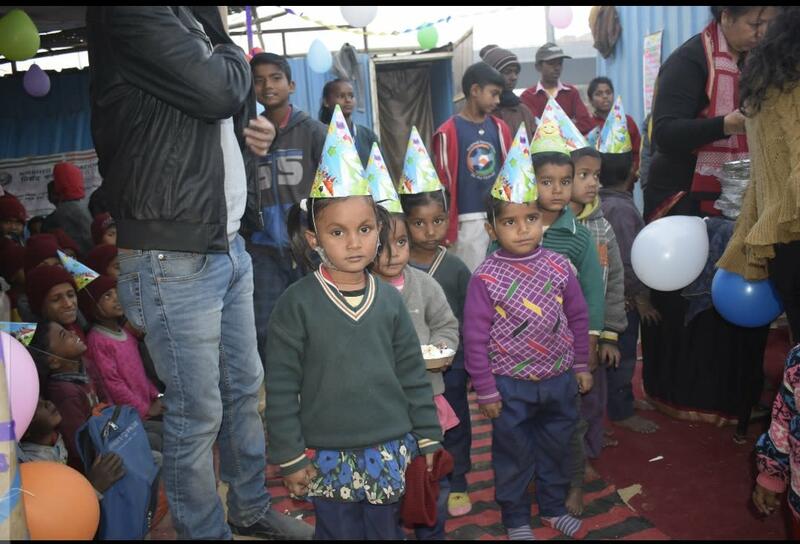 Birthday Celebrations....We try to give them all the happiness they need for their childhood memories. Please keep supporting me as always and help me to make their Diwali Happiest and special. 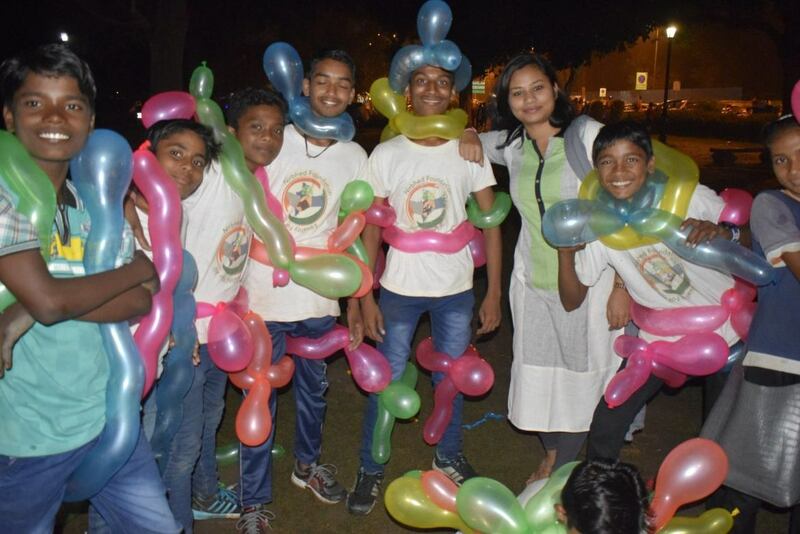 A Big thanks for extending your support to these children. They are really more intelligent and wise than their age. They are doing great. We feed them like our own family and so do they. 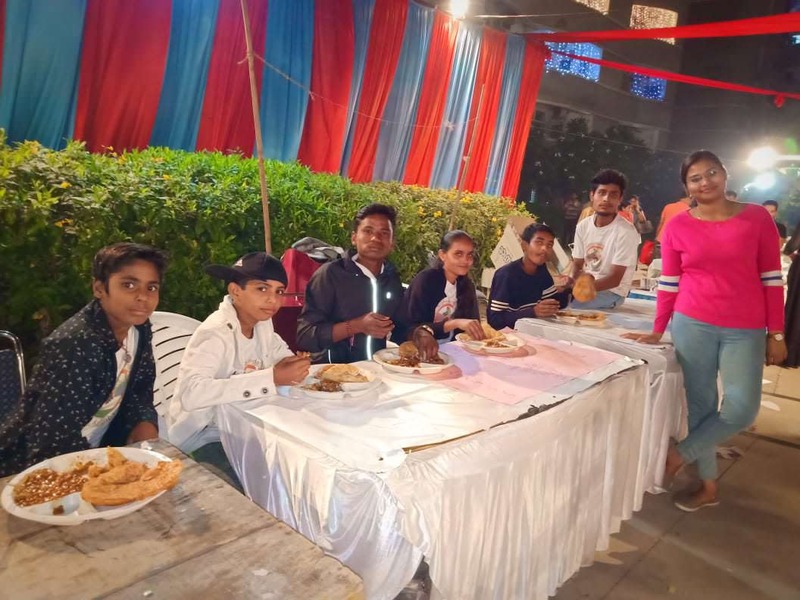 They have inculcated a very nice habit of the elder children feeding the younger ones first and then elder ones sit together and younger ones serve them. They are glowing and becoming healthy each day passing. You yourself can see the change on their faces. 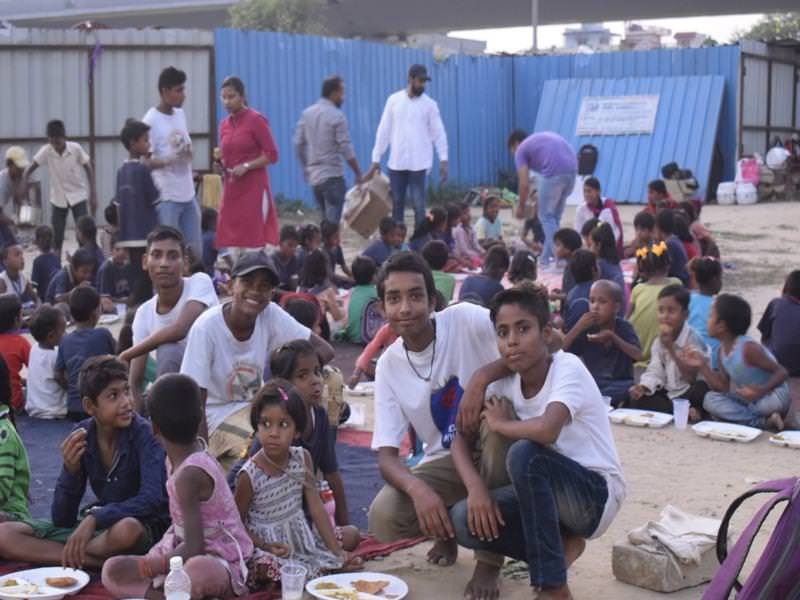 These are our bigger ones who initially helped us in distribution of food and now they have become the food distribution team. We pay them some amount as per their work so that they earn while enjoying their work and it helps their family as well. Now they do not search for work outside our premises. I would also like to share a special moment which touched me deeply and it shows how much they love me. 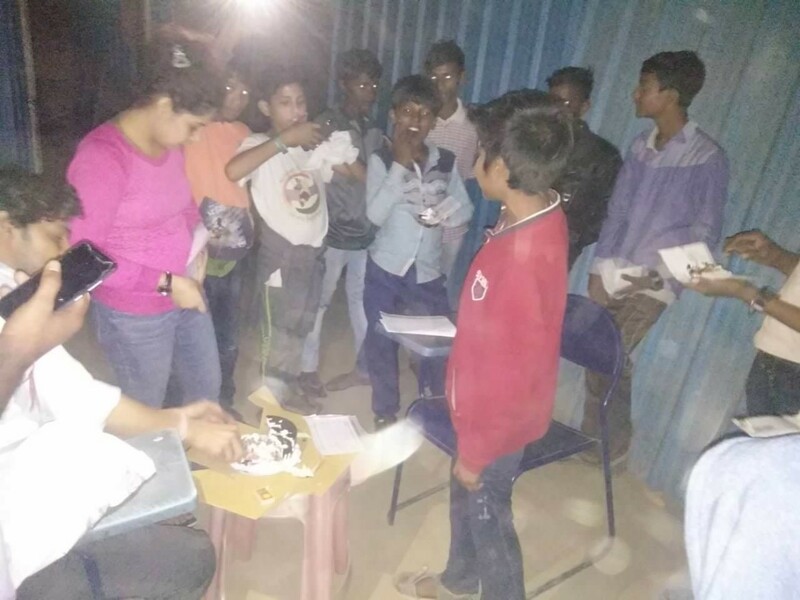 It was my birthday last week and the elder kids planned an unexpected birthday party for me. 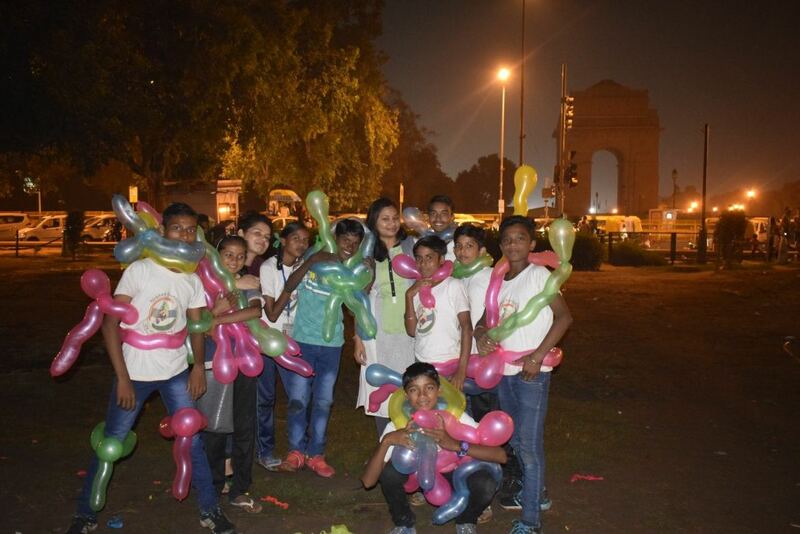 These daring kids took permission from their home, went to Delhi for the first time and did decorations confidently around the India Gate, Delhi and celebrated my birthday. I was amazed to see their caliber.